While Android fans across Europe are lamenting the lack of release of the forthcoming Motorola Milestone, there's worse news to come - Google Navigation isn't coming either. 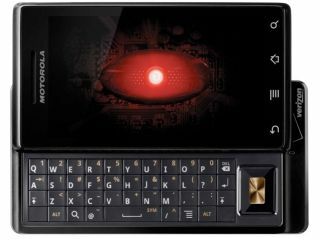 Unless you're in Germany or Italy, you won't be getting access to the latest handset from Motorola, which packs Android 2.0. As part of this, users in the US are getting to use Google Navigation, which gives turn by turn route finding for free. But sadly Europe won't be getting this update, with MotoNav stuffed in its place instead. While this is a decent enough substitute, it lacks the big name clout that Google Maps is offering. There is a ray of sunshine though, as apparently the Milestone will be multi-touch enabled, bringing pinch and zoom functionality to the device, where it's been blocked in the US. We're still no closer to forcing Motorola to give us an answer on whether the Milestone will be coming to the UK, although it's hard to see a reason why not when the likes of Germany and Italy are deemed worthy. Early reports suggest the device is lightning fast with a decent catalogue of functionality, and while the design might not set many hearts a-fluttering, the more high-end touch devices on the market, the better.